When it comes to going abroad without the car how you transport your luggage is a whole different ballgame to what you can get away when you can just throw everything into the boot. 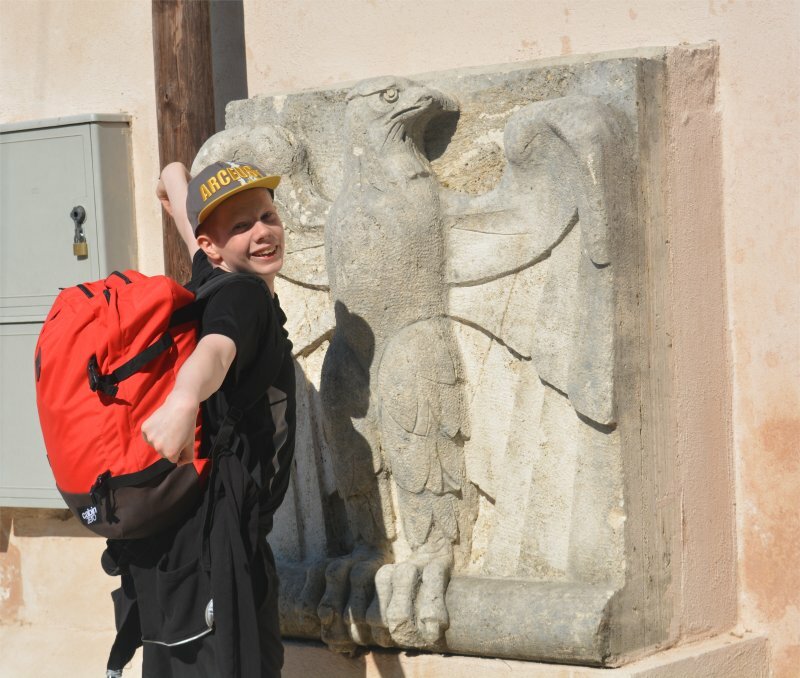 With our trip to Italy we had to consider getting on and off an airplane, as well as having something useful to take on day trips to explore Rome. Now it is Spring Cabin Zero have some great coloured lightweight and water resistant bags in a variety of sizes just perfect for our needs – and I was pleased to be given the opportunity to do a review. The Classic 44L Ultra Light Cabin Bag in Mysore Red was inspired by the sights and sounds of the famous Devaraja Market in Mysore India. I was really attracted to the strong and vibrant spicy colour – which I knew would be easy to spot. This made it easier not only when we placed the bag in the hold luggage but when we used it in busy tourist areas to spot the person carrying it! This Zero Cabin bag features a large 44 litre capacity whilst remaining light weight and easy to carry. It has side compression straps, top and side handles, a front zipped pocket, inside zipped and mesh pockets, a built in Global Luggage Tracker (powered by Okoban), is fully lined, water resistant and comes with a 10 year warranty (with a free upgrade to 25 years free of charge in exchange for a “like” on Facebook! The Cabin Zero Classic 44L Ultra Light Cabin Bag fits the dimensions 55 x 40 x 20cm meeting most of the airlines requirements for hand luggage. If you did decide to put it in the hold (we were offered this free of charge for additional bags on our way home) then you can be reassured that you can register your bag (in case it is lost) and that the zips come together to place a lock between them. The straps are all padded and so you can comfortably wear the bag on your back or hold it from the side. There are clips to pull it tighter together or loosen off. The fact that it is water resistant means not only does it not matter if it rains but that you can wipe it down if it gets dirty (as it did a bit in the hold). Being soft and without wheels did mean it did not get effected if thrown around either. So the kids are back at school and days of wondering around Italy are just from photos. I have an absolute tonne of washing as you can imagine but my washing machine broke just as we went away! Fingers crossed my new one arrives tomorrow! . 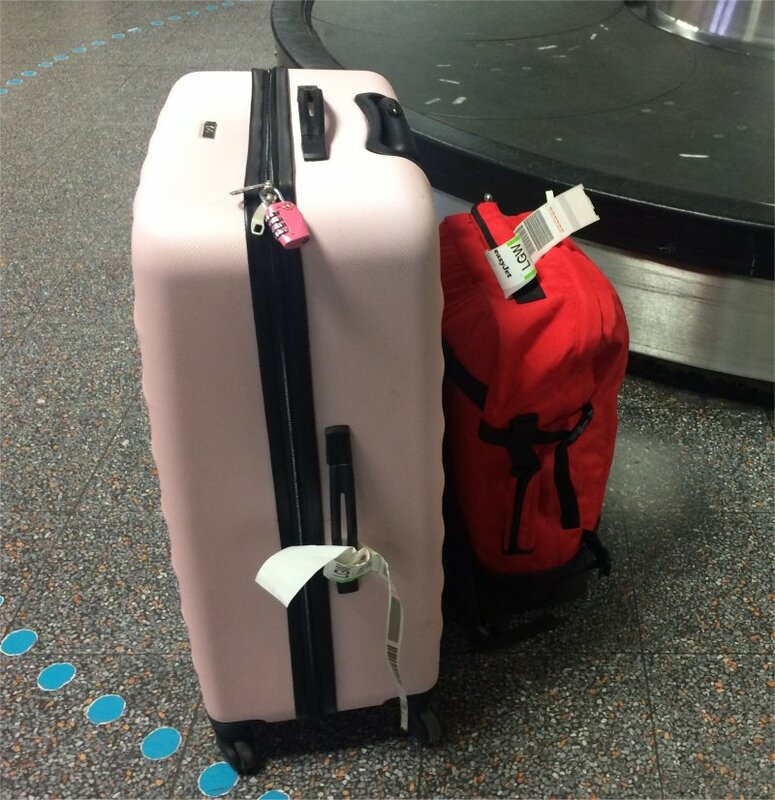 You may notice the stylish bag in the picture – well that my friends is an Ultra light Cabin Bag from #cabinzero which we were lucky enough to review. Read my thoughts on the blog going live tomorrow including a 10% off discount code. 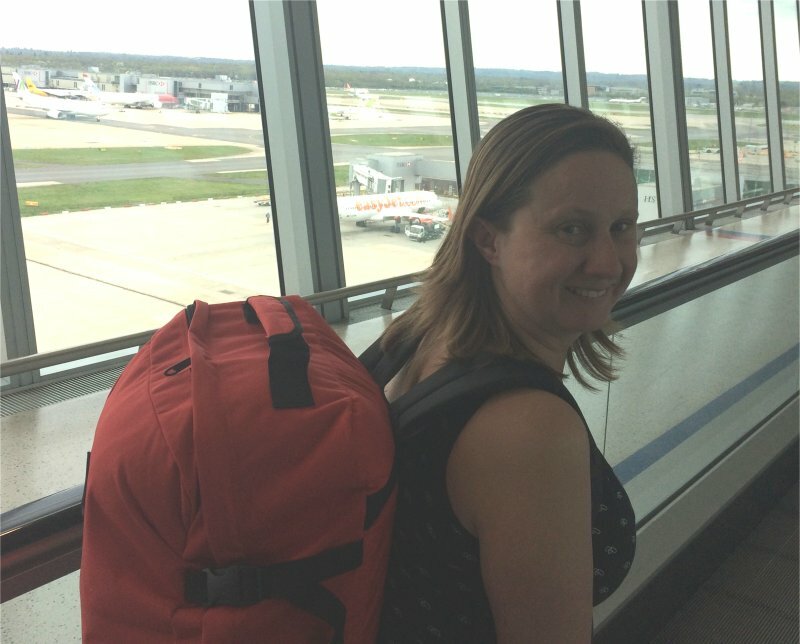 We really liked the Classic 44L Ultra Light Cabin Bag – it was perfect not just for getting to and from Italy but for our daytrips around. We mainly used it to carry our coats and drinks bottles – so it was handy to have inner pockets to keep things separate. There was plenty of space – which was needed with 5 of us all using the same bag. It was a good job too as the rain poured down when the coach was late picking us up one evening! We were really pleased to get back and find that our things inside were completely dry. It was comfortable to wear and easy to carry. I felt more secure that it has the tracking tag when we placed it in the hold too. You can take advantage of 10% off with my code: CZPINKODDY for the next 30 days. I received a Classic 44L Ultra Light Cabin Bag in Mysore Red for purposes of review. All opinions are honest and my own. I really like the look of that, I love that it has compression straps. That would probably do me for a week’s worth of luggage, would save bothering with checking anything in. Definitely something to consider next time we travel.